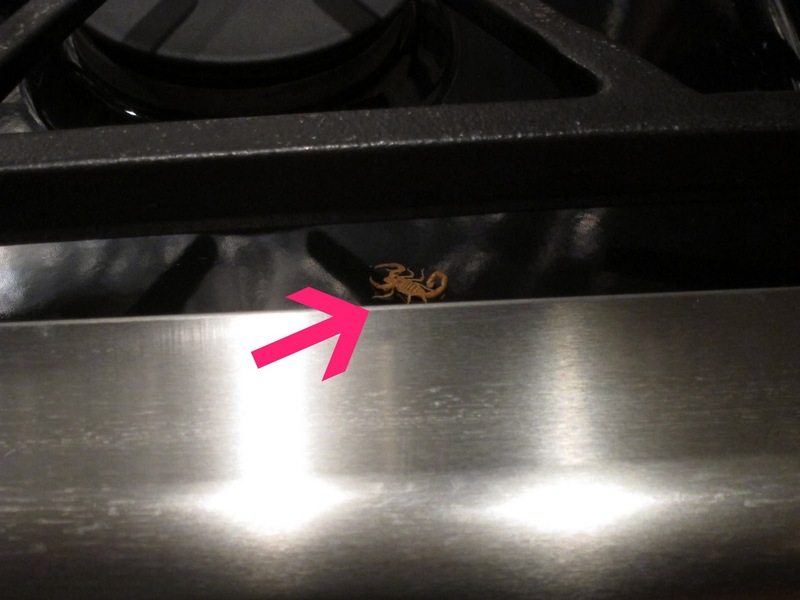 Last night I was making dinner (spaghetti)....cooking the sauce on the stove, when I saw some movement out of the corner of my eye. Do you see it? We lit every burner, but the dancing scorpion was not a dead one. Sierra then left the room and returned with a hammer. I had concerns for the safety of my stove. Drew got out a knife, but felt he couldn't get the proper angle. In the end, we resorted to the most primitive method...."shoe". It was a success, and we continued on with our night. Dinner, FHE, and Marie Callendar's apple pie...if you're not a big baker, I highly recommend this...very tasty and your home will smell like all the joys of fall. There were no more scorpion sightings that evening.